Claire Seneviratne - Ceramic Artist: Gold and purple lustre pendant with swarovski crystals. Gold and purple lustre pendant with swarovski crystals. 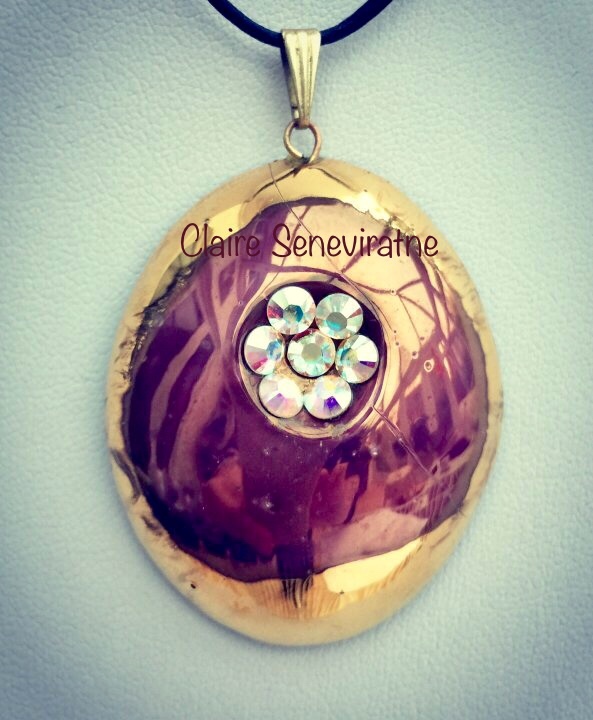 This unusual oval pendant comprises of gold and purple lustre and a cluster of swarovski crystals. It is attached to a leather thong which is fully adjustable.